A Dagestan-based militant leader who swore allegiance to Islamic State (IS, ISIS/ISIL), was picked as “emir” by IS chief al-Baghdadi and was linked to terrorist acts in Russia’s Volgograd, has been eliminated, the Federal Security Service (FSB) said. “Rustan Magomedovich Aselderov (Abu Muhammad), born in 1981, the leader of the Vilayat Kavkaz section of the Islamic State international terrorist group, was among the militants eliminated alongside four of his close associates,” the FSB said in a statement. 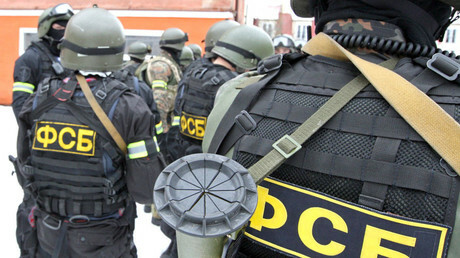 The terrorist cell was neutralized near the southern Russian city of Makhachkala, the capital of the Republic of Dagestan. 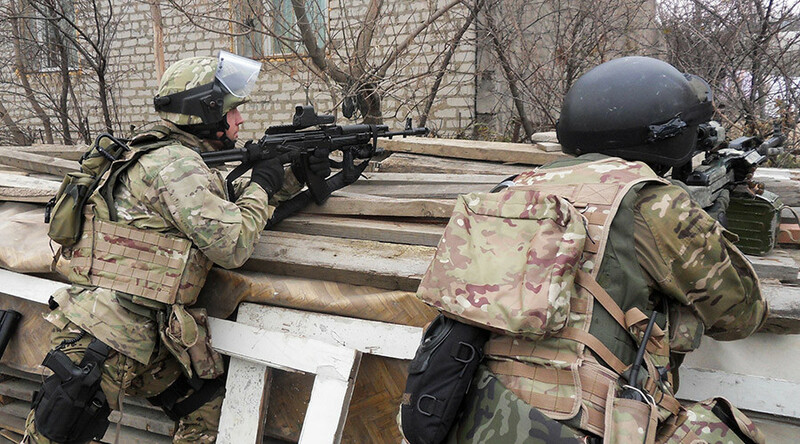 Aselderov and four other militants were found hiding out in a house in the village. After the hideout was surrounded, the police started negotiations and asked the militants to surrender. In response, the terrorists fired automatic weapons and were killed by return fire. None of the officers taking part in the operation were injured. A large cache of weapons was then discovered in the hideout, including automatic rifles, munitions and explosives. 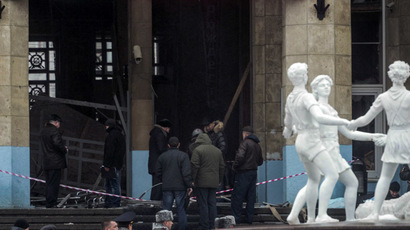 The FSB said Aselderov was one of the organizers of the terrorist attack on Volgograd’s train station on December 29, 2013, which killed 18 people and left dozens injured after a suicide bomber blew herself up at the station’s entrance. Another suicide bomber targeted civilians in a Volgograd trolleybus on December 30, killing 16 people and injuring 25 others. “From all the terrorist acts carried out by [Aselderov and his henchmen] the terrorist acts targeting public transport and railway station in Volgograd, which inflicted multiple casualties, are the bloodiest,” the FSB said in a statement. But Aselderov is also suspected to be complicit in the double explosions that hit the Astrakhan-Makhachkala highway in May 2012, killing 40 people and injuring over a hundred. The militant was also involved in the planning of a foiled terrorist attack on Moscow’s Red Square, in which two female suicide bombers were supposed to detonate on December 31, 2010. The plot was uncovered by the FSB. He is also believed to be behind the murder of an imam in the village of Karamakhi, Dagestan and the killing of the same village’s head in 2015. Aselderov has been known to Russian law enforcement as an active member of Dagestan terrorist cells since 2007. In 2012, he became in charge of Dagestan’s unit of the internationally recognized terrorist organization “Imarat Kavkaz.” In 2014, he was “one of the first” to pledge allegiance to Islamic State. Бывший "амир Дагестана" Рустам Асельдеров. In late June 2015, Aselderov was appointed the head of the so-called Vilayat Kavkaz, established on the Russian territory by Islamic State, on the orders of its leader, Abu Bakr al-Baghdadi. Among his “duties” as an emir were the planning of terrorist acts in Russia’s Northern Caucasus and in central Russia, the FSB said. In September 2015, the US Treasury imposed economic sanctions on Aselderov adding him to the list of specially designated global terrorists. He was also included in UN Security Council’s sanctions list and was wanted internationally.